While I’m guessing you would have no trouble naming a dozen Christmas hymns, you would probably have a more difficult time naming a dozen Easter hymns. Now I know there are several factors that play into that, but my argument is this: we could certainly benefit from more quality Easter songs. John Mark McMillan has given us one more. What always stands out to me in McMillan’s songs is his use of poetic imagery. Here we have the earth crying out for blood, the sun and moon turning their heads, and Christ laying death in a grave. McMillan takes the truths of the Easter story and gives us a new lense to ponder them through. Personally, I find this lense to be quite powerful. As you will see on the lead sheet, the melody consists almost entirely of 8th and 16th notes. It is, therefore, very important to not take this song too quickly or your congregation won’t be able to keep up, especially the first few times it’s used. 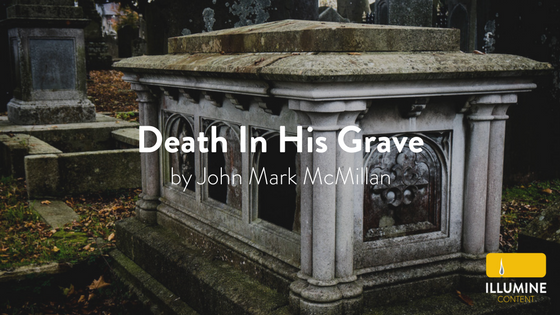 While the obvious time to use this song is around Easter, I believe the imagery of lying death in his grave would make it a useful song whenever we are discussing death, whether it be a sermon series that discusses Christ’s victory over death for us, or even at a funeral.